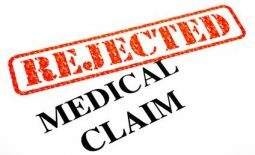 Why do workers’ compensation insurance companies deny you the weekly benefits and medical treatment you need? There are many answers to that question, but one likely answer is that they believe it is in their financial best interests to do so. Paying you benefits costs the insurance company money. If the insurance company pays less benefits to you and to other people, they make more money. How does the insurance company deny benefits? In Georgia, the workers’ compensation insurance company should follow certain rules when they deny benefits. These rules are designed to give you information about what benefit the insurance company is denying and why they are denying benefits. 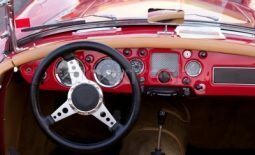 These rules require the insurance company to file certain forms with the Georgia State Board of Workers’ Compensation. The insurance company must send a copy of these forms to you. Sometimes, these forms must include medical reports from your doctors. The insurance company should file a Form WC-1, Form WC-2 or a Form WC-3 if they are denying you benefits. If your whole claim is denied, you should receive a Form WC-1 or Form WC-3. The Form WC-2 is used when they are changing your weekly benefits. The Form WC-3 is also used when denying medical treatment. Many times the insurance company does not follow the rules. They may simply stop paying you weekly benefits. They may just not give the doctor’s office approval to perform an MRI, physical therapy or some other treatment that you need. You may not even know that they should be paying you a certain type of benefit like temporary partial disability or permanent partial disability. Their denial of benefits can harm you in many ways. You are harmed financially when you are not receiving weekly benefits. You suffer physically when your medical treatment is denied. If you wait too long, you can even lose your right to ever get benefits. How can you get the workers’ compensation benefits you need? Many people do not know what to do when their benefits are denied. Some of them simply do nothing and wait. Don’t do this. You could lose your right to benefits. If you have already waited some time after your benefits are denied, don’t wait any longer. There may still be time to get you benefits. You should do something to make sure you get the benefits to which you are entitled. If the insurance company refuses to provide the benefits they should, you can enforce your rights in court. The right to have your day in court and present your case is one of your most important rights. Just like there are forms to deny benefits, there is a form to request a hearing. It is called a Form WC-14. This form allows you to ask for a hearing about the benefits that are being denied. There is one thing you definitely need to do before requesting a hearing. Talk to an attorney who specializes in workers’ compensation. Going to court is tricky. There are many special rules that must be followed. If the rules are not followed, the judge will not consider all your evidence. If this happens, you will probably lose your case. An attorney can make sure your side of the case is heard. Some people do not talk to an attorney because they think it is going to cost them a lot of money. You can talk to one of our attorneys who specializes in workers’ compensation case for free. This can help you make the best decision about what you should do in your case. If you decide to hire us, you only pay us if we succeed in getting you benefits. Don’t let the insurance company get away with treating you wrong. If you would like a free consultation with one of our attorneys, just call (770) 214-8885 or complete and submit the “Need Help” form on this page. I don’t know how I would have made it through my case without Travis and everyone there.